The SSA and SVA products feature optional advanced measurements that are ideal for broadcast and transmission measurement applications. NOTE: More details can be found in the SSA3000X and SVA1000X Users Guides. 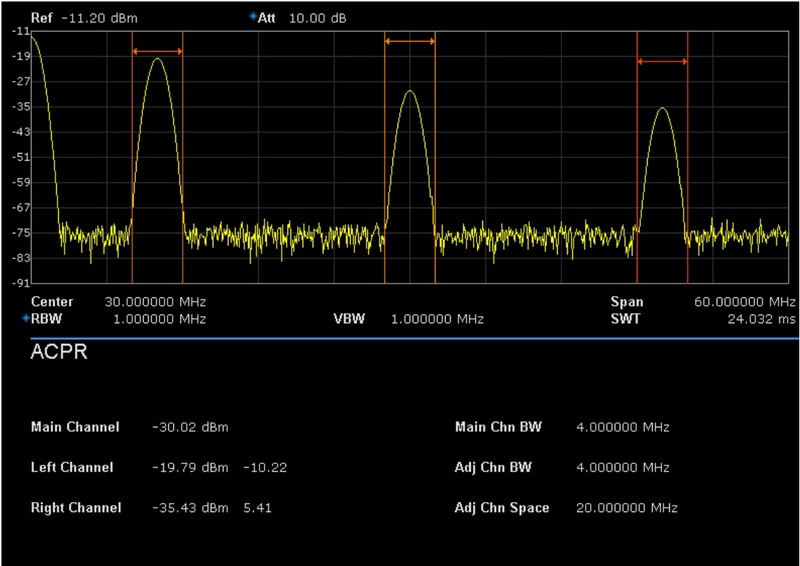 Measure the power and power density within the specified channel bandwidth. When this function is enabled, the span and resolution bandwidth are automatically adjusted to smaller values. Select Channel Power and press Meas Setup to set the corresponding parameters. Measurement Results: Channel power and power spectral density. Channel Power: Power within the integration bandwidth. 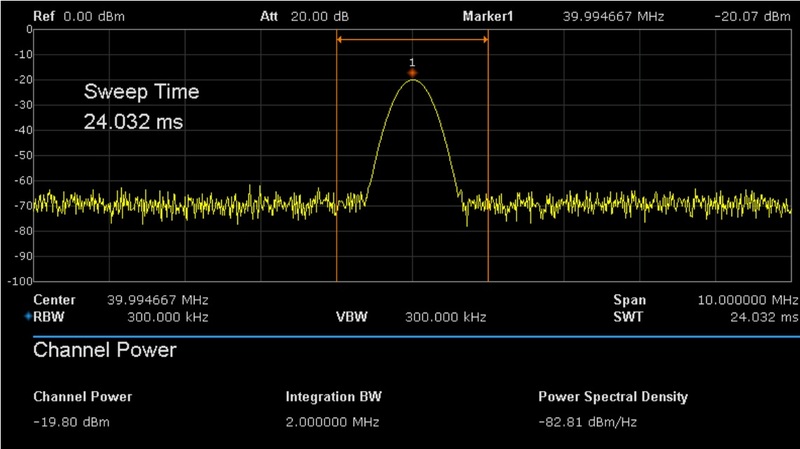 Power Spectral Density: Power (in dBm/Hz) normalized to 1 Hz within the integration bandwidth. 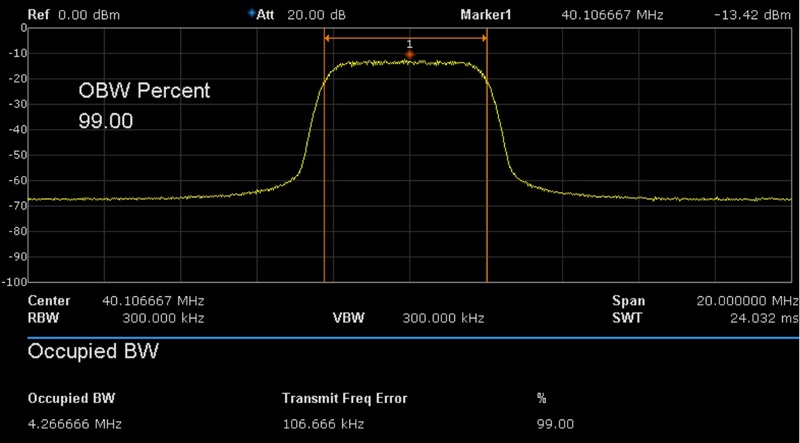 Measurement Parameters: Center Freq, integration bandwidth, Span, Span power. 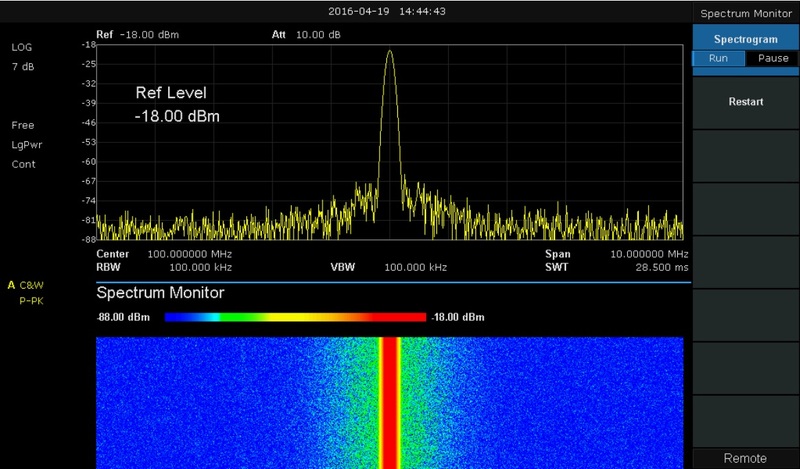 span and resolution bandwidth of the analyzer are adjusted to smaller values automatically. Select ACPR and press Meas Setup to set the corresponding parameters. 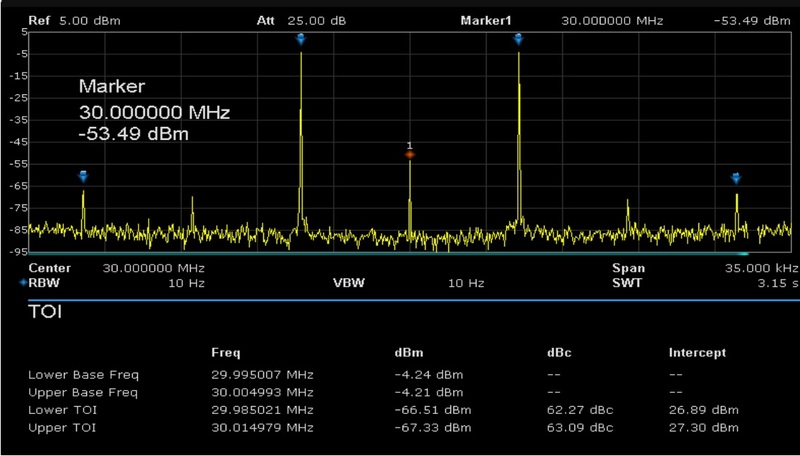 OBW measurement: Occupied bandwidth and transmit frequency error. bandwidth occupied by the power according to the specified power ratio. 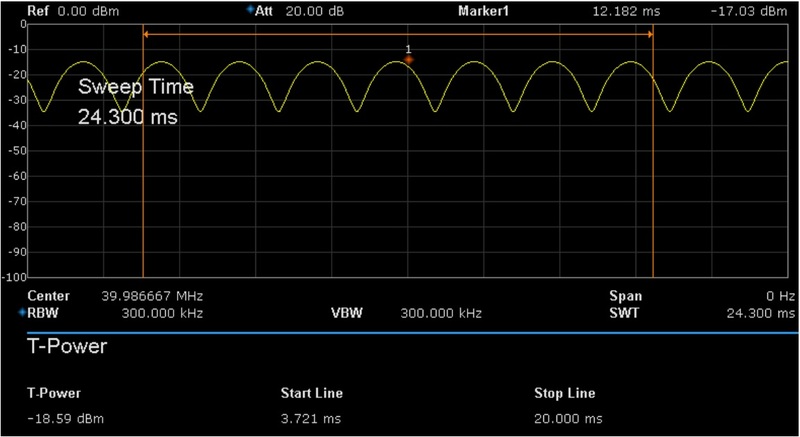 center frequency of the analyzer. The system enters zero span mode and calculates the power within the time domain. The types of powers available including: Peak, Average and RMS. Select T-Power and press Meas Setup to set the corresponding parameters. T-Power: The power of the signal from the start line to the stop line. Measurement Parameter: Center frequency, start line, stop line. Automatic measurement of IP3 (Third-order Intercept Point), including the power of the fundamental wave and the Third order in the power domain. Calculate the adjustable Intercept Point. Display the power of scanned spectra using color grading as well as collect a “waterfall” chart showing successive scans with respect to time. Select Spectrum Monitor and press Meas Setup to set the corresponding parameters.